As a (very) part time guitarist who does a fair amount of playing on nylon string instruments, strong nails are helpful. For a decade or more now, I've had aged-related ridges that can tear longitudinally. I took a long shot. 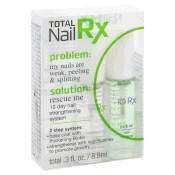 In trying a product called "Total NailRx," I noticed that the manufacturer (who is unknown -- the product is distributed by Dermactiv Research Group, but their website is silent about the product; how about a little transparency?) has no instructions on usage. Not only that, but if your local Walgreens happens to have the product I'm describing, they might have other nail treatment products by this manufacturer. The manufacturer apparently wants you to buy everything they make and try them all, because they offer no guidance as to which you might want to try first. The manufacturer is taking its cues from a number of software manufacturers, who run out of gas when it comes time to write an explanation as to how the thing works. Apply coat 1. Apply coat 2. Why do I mention music electronica? 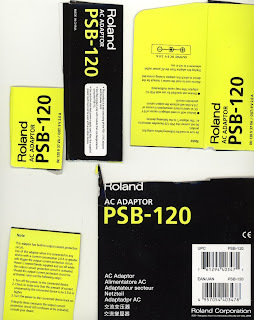 Thinking of Roland, whose documentation is poor, but at least they feel they must issue manuals and even post the PDFs of same on their website (unlike MOTU, who's decided that manuals can only be distributed with the physical product, pre-web style). Well, except for the wall wart I bought from them last week, which had only some vague disclaimers and warnings on the box. OK, you may not need one for a wall wart, but this one is kinda special and really needed a manual. Oh, and the nails product? Well, I'm trying it (the 2 step version) every 3 days and not removing it between applications. This is working well so far, but I'm more than uncertain about this approach (as are others) --I feel my breasts growing larger.